I would not expect this cliff to be there this coming summer. Crumbs, that must be quite soft then Mary. Mary MacADNski: All was hard elsewhere along the coast but this chalky and soft mound was a surprise. It looks a tad precarious, Mary. Love the storm pic! Mary MacADNski: The only place like that along the coast. Very odd. Thank you. Cripes! Better not be climbing on it, then. Mary MacADNski: All was hard elsewhere along the coast but this chalky and soft mound was a surprise. It is very unusual looking. You do seem to be experiencing a lot of erosion, Mary. Constant change... lovely photos - love the storm! Mary MacADNski: Erosion is increasing faster than you can imagine. This huge snow cover we now have will help with field erosion which until this recent big snow was rampant. We would have an inch or so of snow, then wind over the next period of time would have that bit of snow red from the blowing fields. C'est très joli. La deuxième photo est impressionnante. Mary MacADNski: I stayed dry happily. The thought make me sad, Mary. Mary MacADNski: It was a mystery as to how this mound of soft sand was found on a rocky coast. Just a vein of chalky soil for some reason. Mary MacADNski: It is an unusual looking sight on a hard rocky coast. Very chalky looking. I love the second photo, it could make my day! Mary MacADNski: Go back to my archives in summer and see a similar one from that day. Mary MacADNski: It is different from all the surrounding rocky coast. Looks very chalky to me so is mysterious. The sea looks very benign now but I can imagine that a good gale could get the waves up and take away that peak. I like the rain storm in the other image. Mary MacADNski: That is exactly my guess as to why it won't be there this summer. You got it, dude. A time lapse series near the cliff would make good viewing I think. As for your second picture, what an amazing sky and light show you have captured! Mary MacADNski: Oh my! I have seen camera pointed at the boats in the yacht club and it can be wild. There are some web cams from lighthouses. 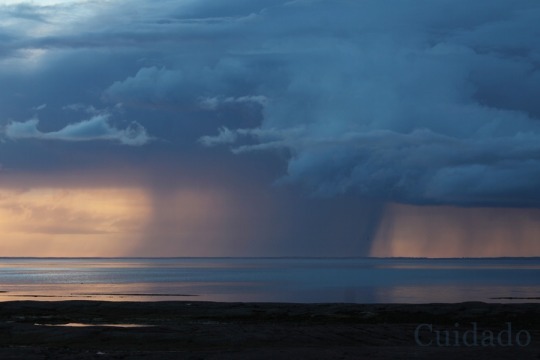 I think it was last summer but maybe the one before that this thunderstorm popped up across the water. Some shots of the day are int he archives. This is very much like the coastline in our North Norfolk, just crumbling away in tot he sea. Mary MacADNski: It is different from all the surrounding rocky coast. Looks very chalky to me so is mysterious. I have shown many shots from this route to Cape Bear, the lighthouse that first heard the SOS from the Titanic. It is nothing like the rest of the coast. Mary MacADNski: Thank you, Thank you. Oh, if we could get such good rain! Mary MacADNski: Oh, I hope you do then. Mary MacADNski: That is it, so strange though.